Experiencing A Dry And Itchy Beard? Brushes and Combs, What Makes Sense For Your Beard? Thinking about growing a beard but not sure how? Here is the ultimate guide on how to grow a beard the right way. 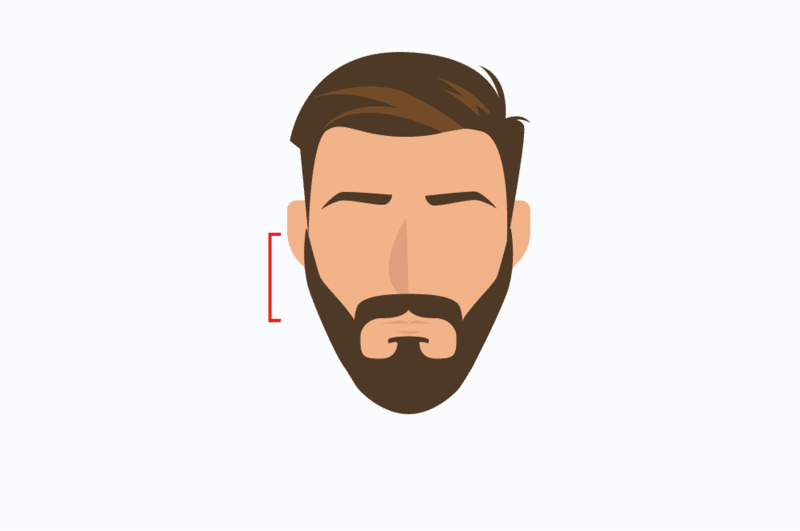 In this handbook, we will go over all the essential parts of growing a beard including tips on accelerating growth, caring for it properly once it does finally grow in, and lastly, choosing the right style for your face shape. 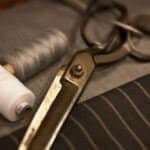 In this article, we don’t look to serve you with an array of products that you should buy, instead we are looking to give you no nonsense correct information that you can carry with you your entire life. Growing a beard is fun, and can be an incredibly rewarding experience for some men. 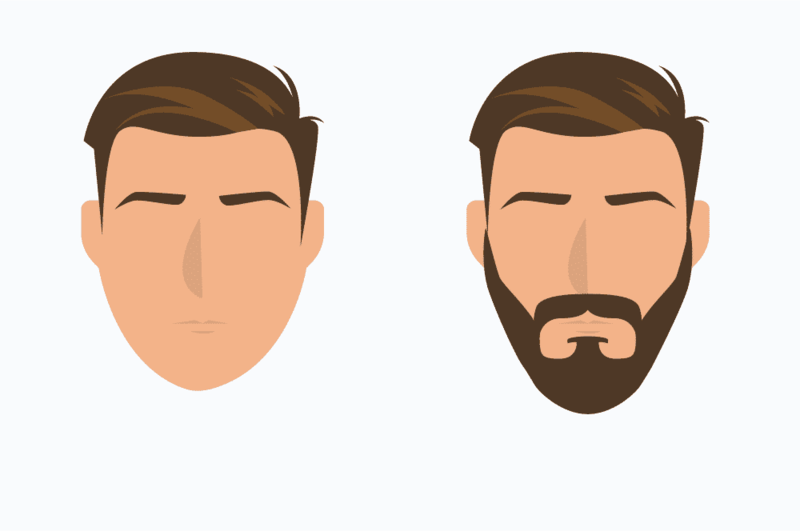 Below is our complete guide on how to grow a beard – we hope you like it! Your beard is considered androgenic hair (i.e. body hair) that begins to appear as you go through puberty (typically in the mid-to-late teenage years). This androgenic hair doesn’t usually appear until the final stages of puberty (source). Since beard growth is dependent on genetics, it comes down to luck as to what type of growth you should expect on your face. 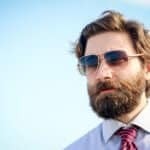 Men from all walks of life can have a beard ranging from one that is incredibly full all the way to one that is considered to be patchy or sparse. Given that beards are genetic, men from different cultures may have differing experiences when it comes to beard growth and coverage. For example, within many Asian countries including Japan, China, and South Korea, beard growth tends to skew to a much lighter coverage on the face as opposed to Middle Eastern countries where growth coverage is incredibly full. Therefore, if you notice that your beard is growing in a distinct pattern, it’s not due to any mishaps of your own, it’s just simply the genetic lottery that you have drawn. Growing a beard requires a great deal of patience. While there are nutritional supplements and life adjustments that you can act on to enhance the growth rate of your beard (we will explore this in further detail in a minute), skipping on the supplements, you can expect your beard to grow at a rate of 1cm per month (0.393701 inches). Should you be letting your beard grow for an entire year, you can expect to have at the end of the year, a beard that will be roughly 4.72” in length (or 12cm). If you find that your beard is growing at a slower rate than the expected 1cm per month, then a supplemental beard vitamin may be a solution for you. Beard vitamins are a relatively new offering to the supplement market that work to help spur on beard growth. Their unique mixture of vitamins and minerals are considered by many to help spur on additional hair growth. 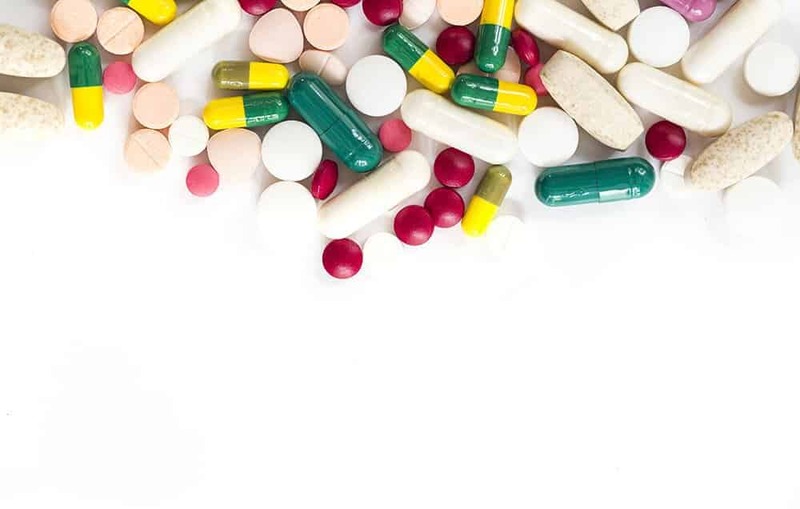 One of the core vitamins that you will typically find within many of these products is going to be the inclusion of Vitamin B7, also commonly known as Biotin. 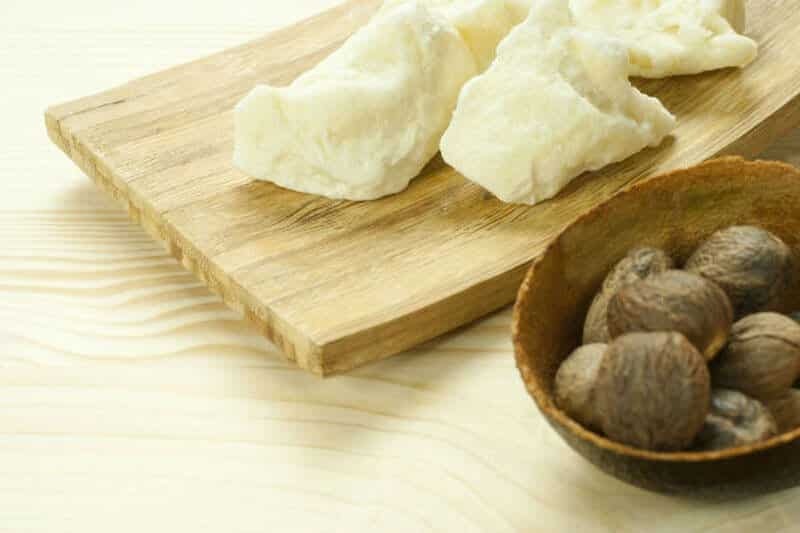 Biotin, a natural vitamin found in many protein rich foods, targets hair and nail growth while also thickening the skin. It’s important to know though, that within many of cultures, a full calorie diet will typically provide an ample amount of Biotin, making excess consumption likely to make little to no difference when it comes to beard growth. In addition, Biotin is a water-soluble vitamin. 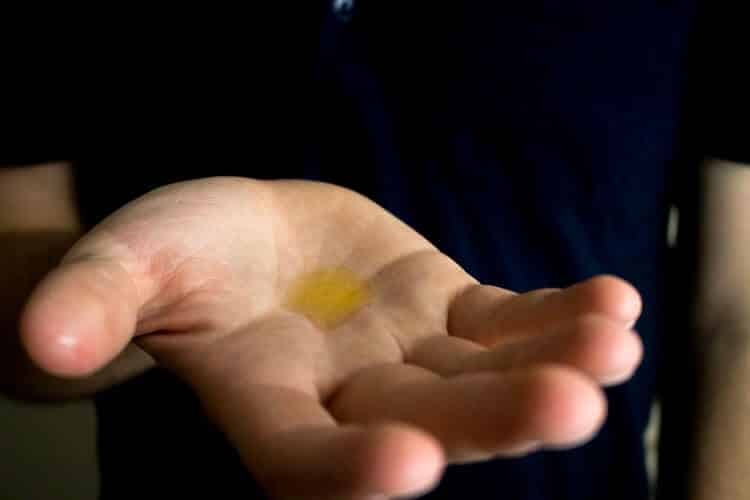 Therefore, when you do take a supplement containing this vitamin, even if there is 2,000% of your daily value contained within the capsule, your body simply can’t store the excess vitamin. Instead, once your body recognizes that you have consumed enough Biotin for the day, it will simply excrete the rest when you urinate. 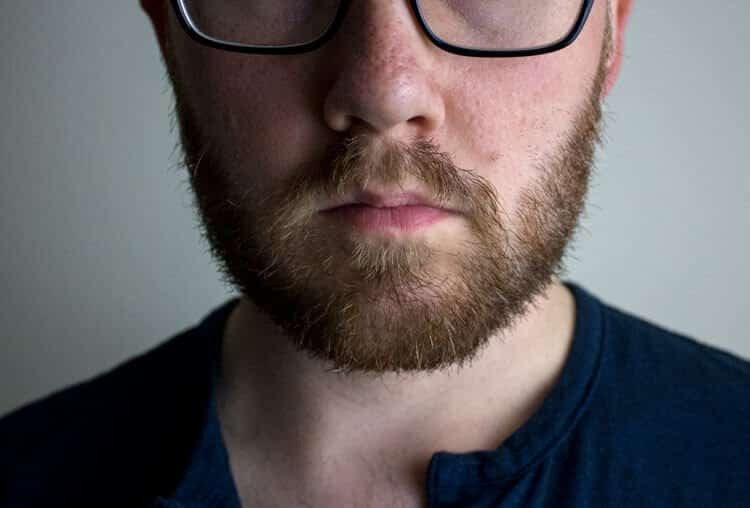 One of the biggest complaints from men when growing a beard will always come a few weeks in after they have started their beard growth journey – beard itch. 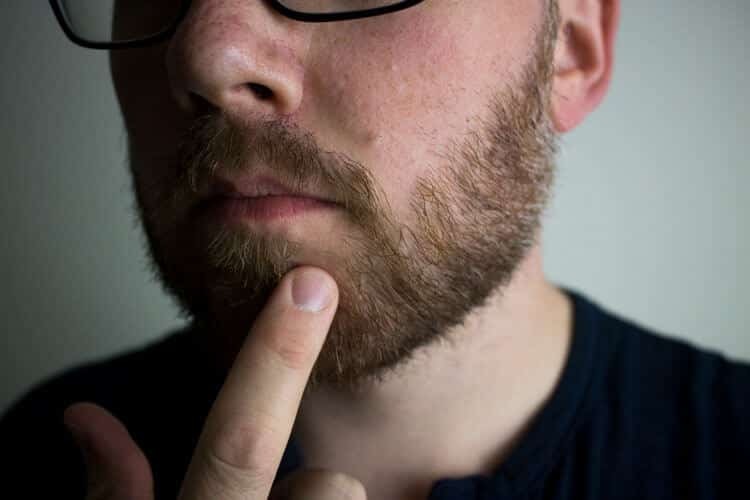 Beard itch is both simple to diagnose and treat. First and foremost, beard itch is caused by dryness on the surface of your skin. 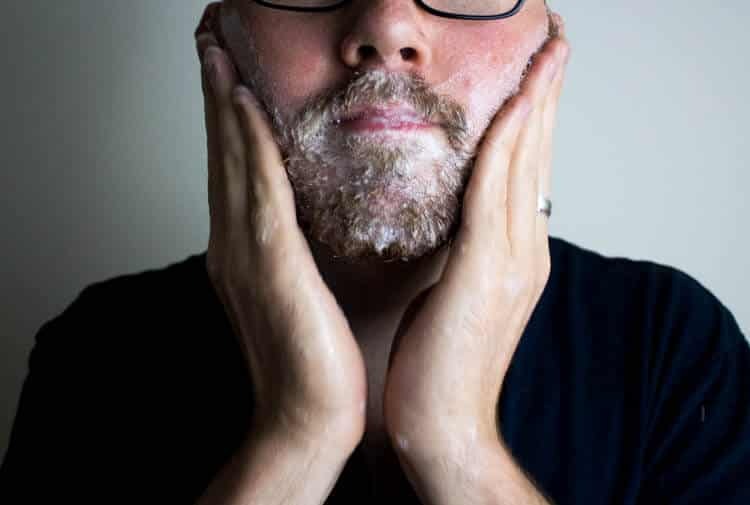 Overly dry skin anywhere on your body will quickly become irritable, but particularly for your beard, dry skin on your face can be quite a problem for many men, ultimately leading them to completely shave off their beard. What about growing a beard makes your skin so completely dried out and irritable? To fully understand the reason, you will need to examine the surface of your skin. At the base of every beard follicle you have little glands just beneath the surface of your skin called sebaceous glands. These glands excrete an oil called sebum oil throughout the course of any given day. This sebum oil, while critical to proper skin health, can also be incredibly fickle when it comes to comfort. In the same fashion that a plant or tree draws water from the ground, as your beard lengthens, it will gradually draw out all the sebum oil from the sebaceous glands. Once your beard becomes too long, there simply isn’t enough sebum oil to go around and a shortage will occur. It’s important to know that the sebaceous glands themselves are finite in size. Therefore, you will never produce additional sebum oil as your beard lengthens. Instead, your only option is to use a beard conditioning product. These products solely exist to supplement the sebum oil in a natural manner, typically through the use of carrier oils. 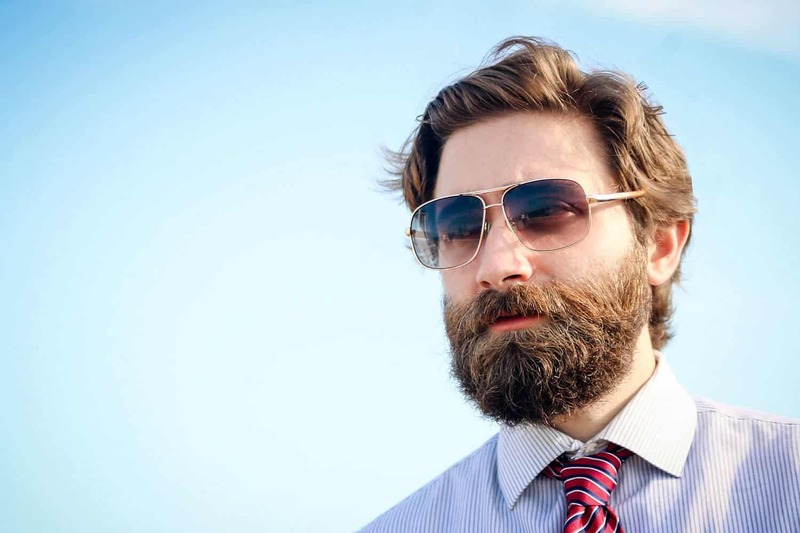 Men will often find that their beard growth may show up in patches rather than a uniform look. While many men may embrace this ruggedness, others may try to fix it themselves. 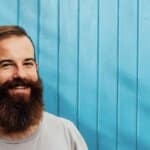 By and large, one of the most popular remedies that you will see beardsmen in communities like Jefff’s Beard Board or Reddit’s own /r/beards discuss the application of Minoxidil. Minoxidil is the active ingredient in the product Rogaine – a product used to resolve male pattern baldness by reversing the trend of hair loss. From our own research, we have seen time and time again men exclaiming the effectiveness of Minoxidil while also providing ample visual proof to back up their claims. Of all the hair growth options on the market, Minoxidil is one of the few that has been approved by the FDA to regrow hair (Propecia being the other option). While all the clinical studies that we could find only focused on the application of Minoxidil to your scalp, applying it to your face may or may not work. Minoxidil comes in a liquid form, which makes it incredibly easy to apply directly to a patchy area on your face allowing you to target specific problem areas. Like most medicine, Minoxidil does come with a list of side effects. Prolonged application of the solution to your face may result in dizziness, fast/irregular heartbeat, fainting, chest pain, and more. Therefore, you will always want to proceed with caution when using this solution and be sure to consult with your personal physician. Disclaimer: This shouldn’t be taken as medical advice as we are not board certified physicians. It’s always important to discuss medical manners with your family doctor. While the above methods may be effective at spurring on additional hair growth or resolving a patchy beard, one can never overlook the simple benefits of a healthy diet and exercise. When you have a diet rich in proteins including fish, nuts, lean beef, legumes, etc. you will be getting the required vitamins in your body so you don’t need to rely on a beard growth supplements containing Biotin. In addition, regular visits to the gym or local track will not only get your heart rate up, but blood flowing within your body. During cardio exercise, you will be lowering your stress levels which in turn, will help to spur on additional hair growth be it your head or beard. Secondly, as your exercise becomes more regular, you will produce additional testosterone which will further help in the growth of your androgenic hair. Your beard is unique in how it should be taken care of. While most men for the very first time may reach for their favorite shampoo or bar of soap, this simply is the worse way to clean and take care of your beard. Instead, it’s worth investing in a solid lineup of beard care products to make sure that your beard not only gets healthy, but is well conditioned in order to look its absolute best day after day. When it comes to caring for your beard, it largely falls into three main categories: cleansing, conditioning, and cutting. When it comes to washing out your beard, many of the more popular shampoos on the market will wreak havoc for your beard follicles. Their harsh nature of stripping out all the oils will not only dry your beard, but with time, will likely lead to flaking on the surface of your skin. This discomfort can bring on beardruff at a much earlier stage due to the increased stress applied to the sebaceous glands in way of harsh chemicals. Instead, when it comes to washing your beard, there is no better way than to use beard shampoos/washes that rely on natural ingredients to get the job done. Many of the best beard shampoos on the market will rely on a mixture of surfactants to generate that familiar sudsing sensation that we are so accustomed to when using a standard bar of soap. But furthermore, beard shampoos will also contain natural carrier and essential oils to compliment your skin. When washing your beard, you will want to make sure that you don’t overdo it. Therefore, you will want to wash your beard about once every couple of days. Over washing of your beard, even with the most gentlest of beard washes, can still lead to pronounced drying of your skin which will still lead to an itchy beard. 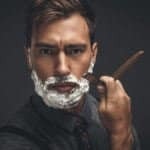 While many men love to get bone dry after stepping out of the shower, when it comes to maintaining and drying your beard, you will want to exercise just a little bit of caution. This means that it will be best to pat dry as opposed to rubbing vigorously. The reason for this is that a pat dry motion won’t put pronounced stress on the follicle root, which may lead to a patchy or a thinner appearing beard in extreme cases. 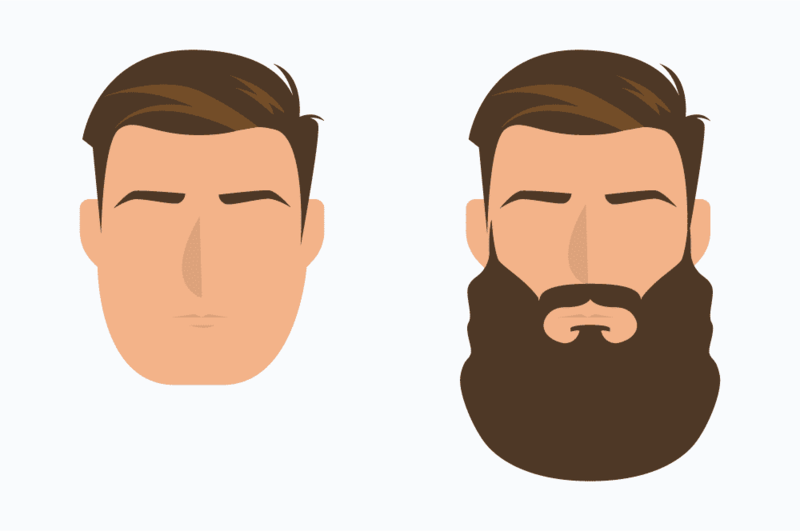 It’s no secret that the beard grooming market has grown exponentially over the past few years. With the inception of beard oil, beard balms, and even beard butter, the beard care conditioning market can even get the most seasoned beardsmen confused on what product is actually best for their facial hair. Carrier oils are the primary conditioning agent that gives these products their moisturizing and nourishing properties. Derived from nuts or seeds, carrier oils are all natural and come in several different varieties. To put it simply, carrier oils found in any of the beard condition products listed above do nearly all the heavy lifting when it comes to making your beard feel softer, reduce the itching, and ultimately look better. Therefore, many men may skip out on all the beard care products together and simply apply a bit of carrier oil to their skin on a daily basis. While regular application of a carrier oil is acceptable to proper beard health, it is important to understand on the remaining ingredients: namely essential oils, butters, and waxes, and how they interact with your skin to provide a more complete and comprehensive approach to proper beard care. Essential oils have found their way into a number of grooming products for both men and women within the recent years. Most notably, you will find essential oils in natural shampoos, conditioners, deodorants, and more. These oils provide a stark contrast to the carrier oils that we just covered. Instead of providing moisturizing or nourishing abilities, essential oils largely provide both fragrance and homeopathic benefits. Essential oils by themselves are incredibly potent and abrasive. Should you apply an essential oil directly to your skin or beard, the leading side effect will be pronounced irritation that may equate to some mild chemical burns. Essential oils require a carrier oil to be used properly as the carrier oil ‘carries’ (or dilutes) the essential oil. While there may be 50 or so given carrier oils naturally found, essential oils vary far and wide and can easily reach into the hundreds. 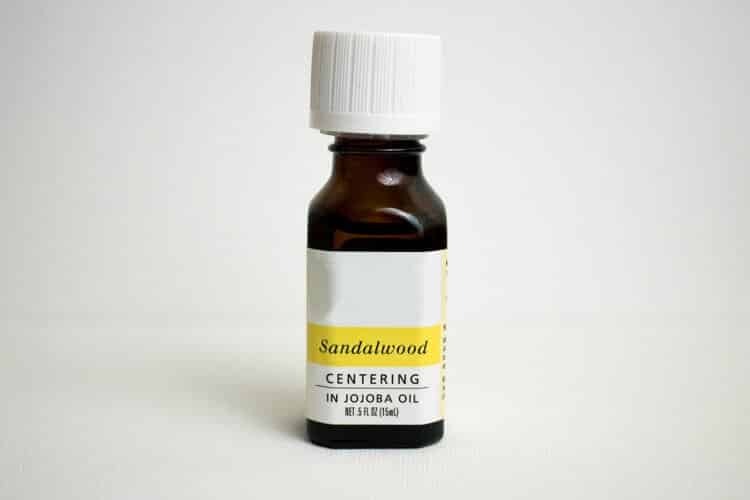 Derived from seeds, peels, woods, plants, and more, essential oils can provide just about any scent you can imagine. However, don’t be surprised if you come across a variety of other scents including vanilla, clove, bourbon, citrus, and more. One of the most widely exclaimed properties about essential oils is their ability to cure aliments in a natural way. Unfortunately, much of the proof behind this notion is considered hazy at best as there haven’t been major studies conducted to examine the real remedies that can be obtained. However, with that being said, we can only relay what others have exclaimed to be the perceived benefits of using essential oils. Among the most popular essential oil found in beard products is tea tree oil. While also found in shaving creams, aftershave balms, and more, tea tree oil is generally regarded as having natural anti-fungal properties. Therefore, should you have pronounced acne on your cheeks, the addition of the tea tree essential oil to your beard product is claimed to help reduce any acne flare-ups. Should you every have a question about the derived benefits of an essential oil, a simple Google search should yield plenty of results. Unlike a cologne or body spray which is designed to emit a fragrance for hours on end, given the natural nature of essential oils their fragrance is much less potent than other men’s products. Therefore, while a beard product that contains essential oil may seem strong at first, the scent will nearly always dissolve a few hours after application. This natural tendency to diminish as the day goes on makes it a terrific product to include in your daily routine without the fear of having an overbearing aura. Found in both beard balms and beard butters, this key ingredient adds an additional layer of moisture for both your skin and facial hair. The most popular butters that you will find contained within these beard conditioning products will be either shea or cocoa. With both having very similar skin care benefits, it’s largely dependent on a man’s preference of scent of which one to pick in their final purchase. If both of these types of butters sound familiar, they should, as they are also found in a wide plethora of beauty products for both men and women. Most notably, butters are found in creams such as body or hand lotion. Their ability to nourish even the most stubborn of dry skin is unparalleled in even the harshest winter months. 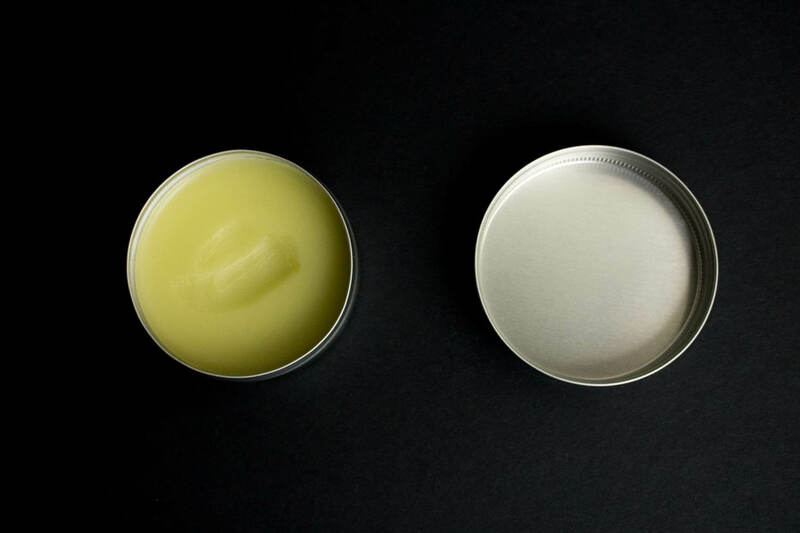 Some novice (and even seasoned) beardsmen often get confused between the difference of beard balm and butter. While both products have very similar ingredient profiles, there is a subtle difference between the two. Most notably it has to do with the level of ingredients found within the finished product. As you can see in our example above, the percentage of wax to butter drastically differ between the two products. If you are looking solely for moisture and conditioning agents for your beard, then a beard butter would be a better choice than a beard balm. However, beard balm may contain a more balanced profile for beardsman, as it will provide a more substantial hold in order to keep your wiry whiskers in check while also providing an extra layer of conditioning and moisturizing properties. The last part of beard balms or beard butters will be the inclusion of beeswax. Typically found in lip balms, beeswax is terrific as both a humectant (retain moisture), but will also provide as a protectant for both your skin and beard. The protectant aspect is incredibly important to fully understand for proper beard and skin care. For both the hair on your head and facial hair, each follicle is covered in cuticles. These cuticles when laying flat will not only give your hair a much shinier look, but will be key in ensuring the long-term integrity of the follicle shaft. The application of beeswax by way of these products will ensure the long term health of your beard, ultimately making you look your absolute best. While most men may grow a beard over the winter months, the inclusion of a beeswax based conditioning agent is often considered a good choice as during the winter months not only does the temperature levels drop, but so does the humidity. Using a product that has additional levels of moisture through the use of carrier oils and butters, the beeswax will help to lock in that moisture to keep an itchy beard feeling at bay. Whether you are looking for a beard that has a strong shape to it or one that simply is bushy in nature will largely determine the type of beard conditioning product you purchase along with the level of beeswax included. Therefore, if you wish to wear a well-defined beard, then you will want to make sure that you get a beard balm that is labelled with a medium to strong hold. This will allow you to move your whiskers in any way of your choosing in order to achieve the look that you are going for. Now when doing your research to select a beard oil or balm that is best suited for you, here are a few key pointers that you will need to keep in mind. Many beard product vendors will also state the botanical name on the side of the bottle depending on where the product is sold. If it’s the USA only, you will likely just see the simple translated name (i.e. Jojoba oil). However, if that same bottle is sold internationally, the vendor will have to adhere to the International Nomeclature. Therefore, an ingredient like Jojoba oil now becomes Simmondsia Chinensis. Since some carrier oils are derived from nuts, it’s important for you (or those around you) who have a pronounced nut allergy to be aware of this potentially allergic ingredient. The major nut ingredient that many beard care manufacturers use will be Argan oil. Therefore, be on the lookout for this ingredient should you make a purchase of a conditioning agent. Synthetic ingredients are great for manufacturers to control both costs and quality of products when they are being mass produced, hence their widespread adaption in multinational conglomerate companies. However, for many beardsmen, these synthetic ingredients just simply don’t make the cut when it comes to proper hydration and nourishment of their beard. Therefore, should you find any alcohol (simply variety) or silicone based ingredients, we would recommend that you avoid the product as they won’t simply be nearly as effective as a small batch beard oil product. 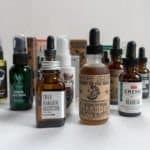 While this largely isn’t an issue when shopping online as you can easily order from small vendors, when visiting your local drugstore or grocery store, you will often see these synthetic beard oils on store shelves. Naturally when many men find out that a carrier oil is the leading ingredient in any quality beard conditioning product, their follow up question usually revolves around how the oil will interact with their skin and the prevalence of acne. Fortunately, carrier oils, especially jojoba oil, are incredibly mild for your skin and shouldn’t have any adverse side effects. The natural nature of jojoba oil acts somewhat as a balancing agent when applied to your skin and how it interacts with your naturally forming sebum oil. Based on our experience, regular application of beard oil hasn’t resulted any adverse side effects for men and acne production. Note: Should you have severe acne, it’s always important to seek consultation from your personal dermatologist as we are not a doctor, nor is the above considered medical advice. As we eluded to in both the butter and beeswax sections, the season of which you are wearing your beard will largely determine what type of conditioning product you should use. For summer months or mild climates, you are best to go with a beard oil. It’s lightweight construction coupled with easy application will be best suited for your beard. When living in extremely dry conditions or areas where it’s incredibly frigid during the winter months where humidity is low, then a beard butter or beard balm will be a better choice. The additional moisturizing agent (butter) plus the protect properties of beeswax make this grooming product the best choice for a dry season. For some beardsmen, the cost of the beard conditioning product can be a large factor on the decision process. Luckily, over the past few years with the boom in men wearing beards coupled with the flood of products on the market, there has been a drastic reduction in prices. When beard oil once would cost anywhere between $20 and $30 for a single 1oz bottle, prices have bottomed out, with some vendors only charging $10 a bottle. 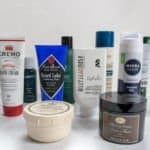 While in the past we have recommended beard balms over beard oils due to their lower price point, at the time this guide was published, prices between beard oils, balms, and butters are all largely within range of each other. Under no circumstance would we ever recommend purchasing a beard grooming product that hasn’t fully disclosed their ingredient profile. Given that any one of the above beard products will be applied to your face daily, you should know exactly what you are applying to your face. Not only to determine the culprit ingredient should you break out in a rash, but also if the solution is actually the ‘real deal’ so to speak by using natural quality ingredients. Should you have incredibly sensitive skin, you should always consult with your physician or dermatologist before applying any new product to your face. Sensitive skin or not, it’s best to always conduct a patch test. Simply take a small sample of the product and place it either behind your ear or on the inside of your elbow. Leave it there for a day and see if any redness or irritation occurs. If not, then you will likely be ok to apply the product to your face. 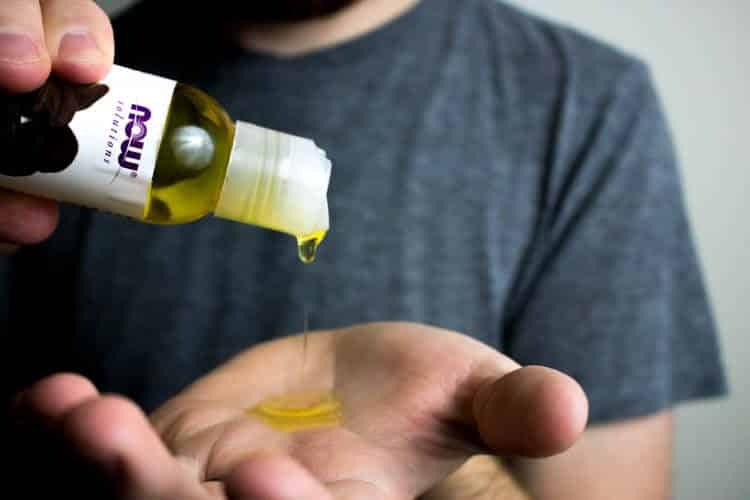 Secondly, if you don’t like the idea of applying essential oils or any strong fragrances to your face on a daily basis but still want a soft and healthy beard, then simply applying just jojoba oil will still realize many of the same benefits. Jojoba oil is considered to be the mildest carrier oil and will emit the slightest nut smell that will typically dissipate within 30 minutes after application. Now that we covered all the core ingredients of popular beard grooming products, it’s important to note just how easy it is to make this product yourself. Of all the conditioning products, beard oil is the easiest one to make. In fact, we have written about it previously in this extensive guide. We invite you to check it out when you have a few extra minutes. 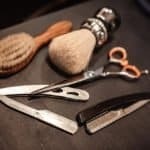 When visiting any beard care shop or carousing your favorite online retailer, you will instantly find a wide array of brushes and combs at your disposal. While not nearly dizzying as the selection of beard conditioning products, it still can be a daunting task nevertheless to pick out a comb or brush that best suits your needs. Combs by their very nature give you much more control on how your beard will look in its final form. Therefore, if you are looking for an extremely defined shape to your beard, then you simply can’t go wrong with a quality beard comb. Their unparalleled control is second to none. Now, you might be wondering just why you can’t use a regular comb that you use on your hair. 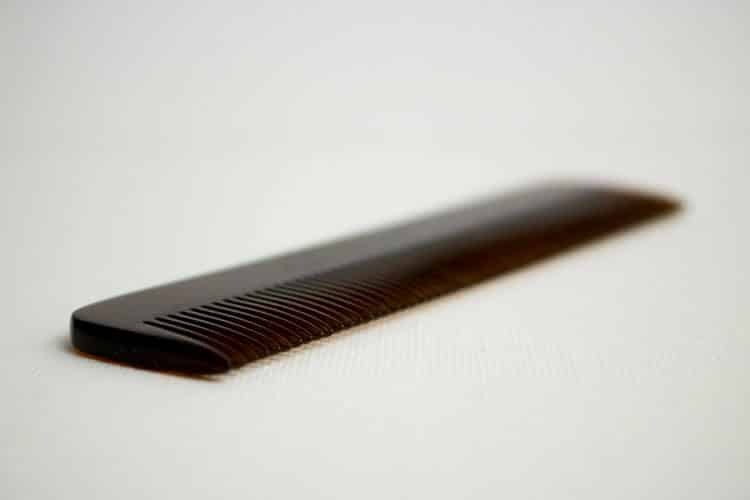 With most beard combs, you will notice that the teeth are often set at a wider width than a standard hair comb to account for the naturally coarser follicles. In addition, the entire comb itself will have uniform spacing between the teeth whereas a hair comb will often have both wide and narrow set teeth on one comb. This allows for more efficient combing of your beard without incidental tugging on the root of the follicle. After you have applied your favorite beard conditioning agent, many men don’t like to use the same comb for their hair as they have for their beard. While there technically isn’t anything wrong with doing so, some men simply prefer not to have remnants of beeswax or carrier oils in their hair, and understandably so. The composition of the beard comb and its properties can vary wildly. One of the cheapest materials used to make beard combs, wood combs are great for novice beardsmen that just want to quickly clean up their beard. Given the porous nature of wood, there is some ability to spread the product throughout your beard a bit more evenly when compared to other materials. One of the primary drawbacks to wooden combs is its nature to splinter and crack. 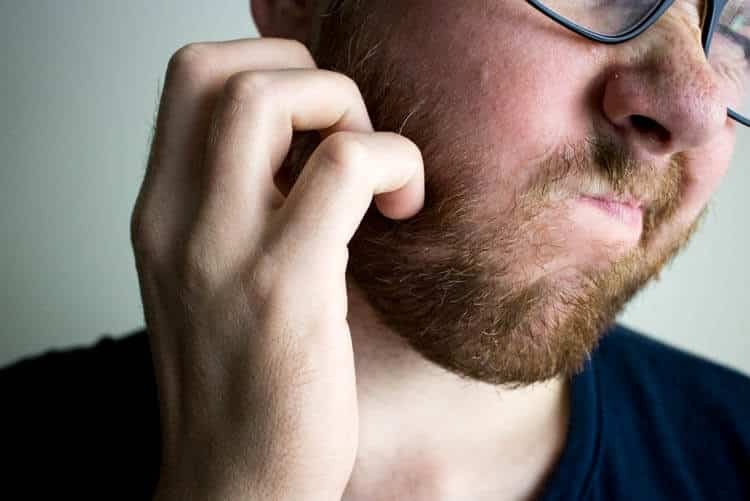 These micro fissures can cause uncomfortable snagging on your beard which can ultimately lead to beard follicle breakage and worse, a thin beard. Metal combs are often coupled with EDC (every day carry) instruments and will contain other tools along side the comb (i.e. bottle opener). Metal combs often score points for their lightweight design and structural integrity. However, metal combs often fall short on tooth smoothness (especially if they haven’t been properly sanded down) and the ability to spread a beard conditioning product throughout your beard. Of all the materials, ox horn is without a doubt the smoothest of all the combs. With their often high price point, ox horn is typically reserved for the beardsmen that take their facial hair care seriously. Ox horn is great for collectors and those who want a smooth and reliable combing experience. Synthetic combs can go one of two ways – either really good or really bad. If you plan on buying your beard comb at a drug store, the comb will likely be incredibly flimsy while also being somewhat coarse between the teeth. This can make for a poor combing experience as the teeth attempt to glide through your beard. On the other hand, there are some beard combs on the market that will glide effortlessly through your beard with each stroke. 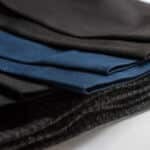 These synthetic combs will oftentimes have a sturdy backbone and will have their teeth sawcut and hand polished. While not a porous surface, quality synthetic combs are terrific for everyday styling and rival the ox horn when it comes to performance. Beard brushes play a key role in both short and long beards. For shorter beards, stiff bristles found in most beard brushes will help train your beard follicles to grow in a uniform direction. Therefore, if you find that the hair on your cheek or above your upper lip is getting in the way or pointing in an outward or upward direction, you can repeatedly use a brush to get those follicles to go in any direction you desire. 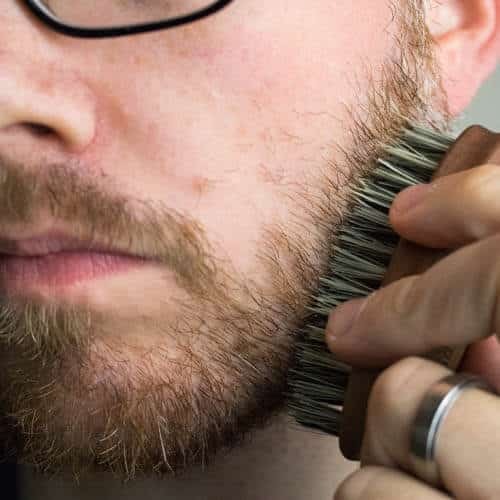 Training your beard by way of beard brush is great to ensure that you don’t have beard follicles repeatedly growing into your mouth or getting in the way when simply eating or drinking. One of the true benefits of beard brushes is production distribution. As your beard lengthens, it begins to get difficult to evenly distribute a beard conditioning agent fully through your beard. With a beard brush, and one that is made up of natural fibers, will help to trap and distribute the conditioning oils evenly throughout the entire follicle shaft. This ensures proper follicle care along with a much softer and shinier looking beard. Another added benefit that you will achieve with a beard brush that you simply can’t get with a beard comb will be the appearance of a fuller and/or thicker beard. With the offset bristles on most beard brushes, the fibers in the brush will penetrate all the way to the base layer of your beard. With each stroke, the brush will work to pull the follicles ever so slightly up giving what was once a patchy area, a bit more coverage. As you may have guessed, what you gain in product distribution and volume added properties, you lose in styling abilities. If you are looking for a boxed design to your beard, or one that is extremely tapered, then a brush will be tougher to control your mane. 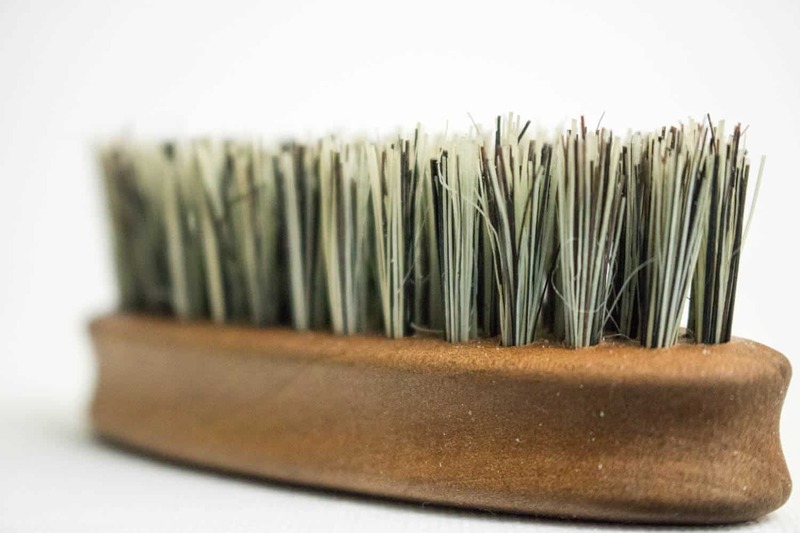 One of the most popular bristle fibers used in beard brushes is sourced from boars. Their natural and authentic fiber quality make them perfect for brushing your beard. When it comes to absorption and distribution of beard conditioning product, no other fiber can match the efficiency of boars hair. Secondly, the more you use a boars hair fiber brush, the better it tends to get. Therefore, these brushes are perfect for beardsmen both old and new. As a word of caution: given that boars hair is a real animal fiber, it’s best not to submerge it in water for a prolonged period. Doing so may cause swelling of the fiber that would lead to issues with the structure of the fiber – ultimately making for a weaker and ineffective brush. While harder to find, wooden bristles aren’t nearly as effective as a boars hair brush. However, this brush design is perfect for the naturalists out there that prefer to use a product that doesn’t depend on an animal byproduct in order to be made. Wood bristles have a slight porous surface that will do better in product distribution than a comb, however, not nearly as good as a real animal fiber. It’s best to skip on this bristle design should your budget allow. This bristle type has come a long way in the grooming world in recent years. Like a standard brush for your hair, synthetic bristles come in a variety of shapes and sizes. These brushes can be washed out regularly, which will be perfect for beardsmen out there that like to keep a clean and orderly medicine cabinet. Secondly, synthetic brushes are the next best alternative to a boars hair bristle that doesn’t rely on an actual animal fiber. In fact, when browsing popular online retailers, you can oftentimes find synthetic brushes that have been derived from plants (typically agave) and have been marketed as ‘vegan brushes’. Synthetic brushes are on par with natural fiber brushes when it comes to volumizing abilities. However, they just fall ever so short when comes to product distribution. This fiber is a great substitute for a natural boars hair fiber brush. While we eluded to bristle structure above, it’s important to discuss bristle length. Offset bristles will get your beard follicles brushed at every level. This makes it perfect for both volumizing and product distribution. A straight cut beard brush will only touch the other layer of your beard. This makes it difficult to get all the product down to your layer of skin where you would experience any signs of beard itch, or worse, beardruff. Even the bushiest of beards should be maintained at some point. As your beard grows in, for some men it will largely grow at the same rate all around your face. Therefore, you will likely notice that the hair on your upper cheeks is the same length as the hair on your chin. The key part to styling your beard properly is to strive for symmetry and balance on all facets of your face. However, as like with anything in the style realm, there are no real rules per se. 1. For nearly all men (with the exception being those with oblong faces), you will want to cut your beard in a more tapered style (i.e. V shape). 2. For the oblong faced men, then you would want to keep the lower sides a bit longer while keeping your chin hairs slightly lower. While styling your own beard can save you a few bucks, if it’s the first time you have ever grown out a beard, you should leave the styling to the pros. The reason for this is simple: they are experts and you’re not. Barbers style beards for a living. When visiting a barbershop we would recommend bookmarking a photo of your favorite celebrity or Instagram account and show them the style that you are going for. After showing the barber your desired style, be sure to explain to them how you want your cheek line (i.e. more natural vs. a distinct curve). 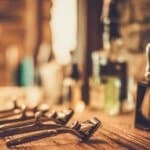 This will not only help you achieve the perfect beard trim, but also make it easier for you to manage long after you have left the seat at the barbershop. 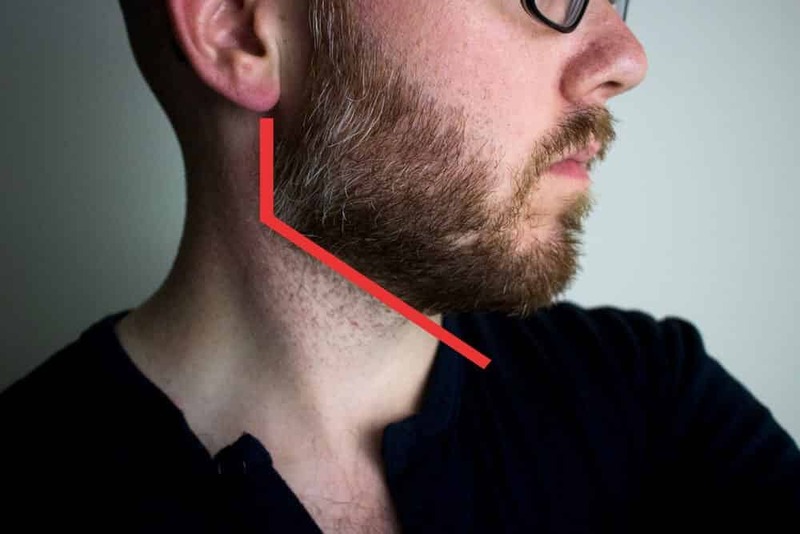 There are many great online tutorials over at YouTube that explain how you can shape a beard yourself. Again, as its worth repeating, let the barbershop take care of the initial lines. This way you can follow them as a guide when you do regular clean up at home. Now depending on the length of your beard will largely dictate the tools that you should be using. For men who are striving for a yeard (beard for a year), then you will most definitely want to use a pair of shears. Shears offer much more control over a beard trimmer and will be terrific at maintaining the shape of your beard as it grows in. Beard trimmers on the other hand are best used for men who are looking to achieve a much more kempt and conservative look. The preset length settings found on beard trimmers will ensure that you get the exact length every single time. While we have covered at length all the different facets to beard conditioning products and grooming tools, we have yet to touch on the actual application any one of the above products. Using these products is extremely simple and should be applied after you have taken a shower and pat dried your beard. Take the beard oil or balm and place into the center of your palm and rub until the product fully coats your hand. There should be no lumps or remnants. For balms or butters this will take about 10 to 15 seconds. Regardless of beard length, its important that you always get to the root of your beard follicle. This will prevent a dry and itchy beard from forming. After the product has been fully applied to your roots – then work down the beard follicle to the tip of your beard. Doing all the steps above will ensure full follicle coverage and long-term beard health.